China had to relax its strict communist system to join the World Trade Organisation. 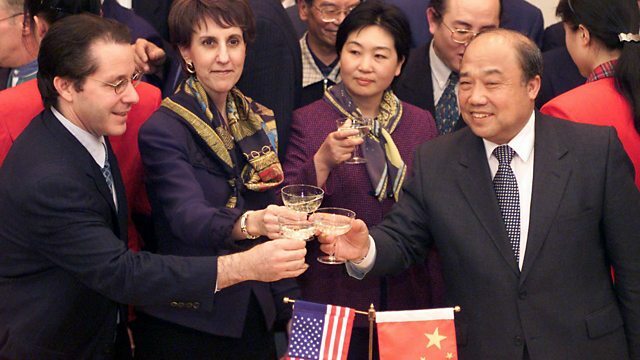 Charlene Barshefsky was the US trade negotiator looking after American interests at the time. China had to relax its strict communist system to join the World Trade Organisation. Charlene Barshefsky was the US trade negotiator looking after American interests at the time. Freddie Chick has been hearing from Ms Barshefsky about the years of negotiations that led to the final deal. This is a Made in Manchester production.